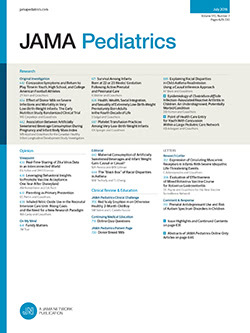 In the August 1990 issue of AJDC, we published a footnote to the article "Protective Efficacy of the Takeda Acellular Pertussis Vaccine Combined With Diphtheria and Tetanus Toxoids Following Household Exposure of Japanese Children" by Mortimer et al that did not clearly state the facts of Dr Mortimer's affiliation with Lederle Laboratories. Dr Mortimer never received personal compensation from Lederle Laboratories for his consultancy to them for acellular pertussis vaccine studies. Lederle has compensated the Department of Epidemiology and Biostatistics of Case Western Reserve University, Cleveland, Ohio, and none of the compensatory funds has been used for the salary of Dr Mortimer or anyone else. All funds have been used for purposes unrelated to Dr Mortimer's activities. Dr Mortimer does not receive compensation for his testimony as an expert witness.